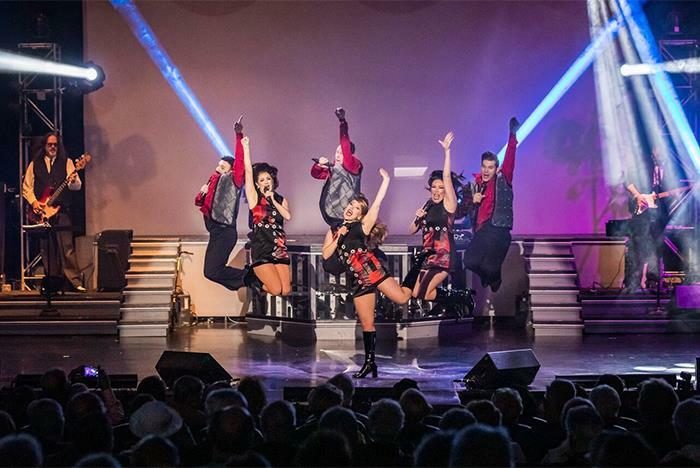 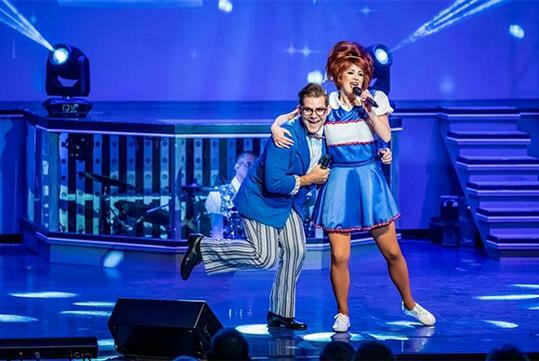 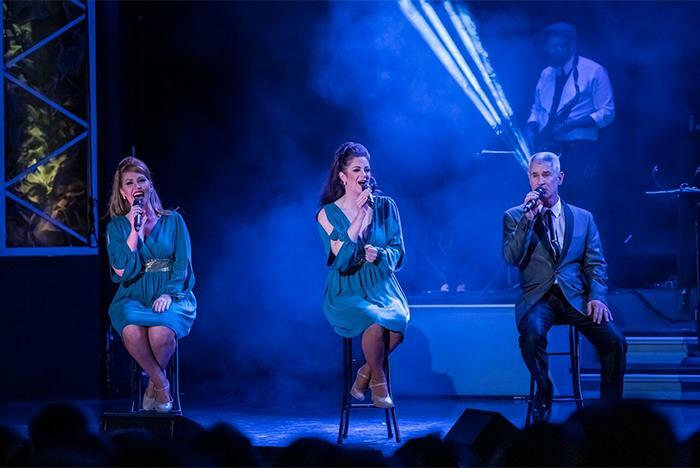 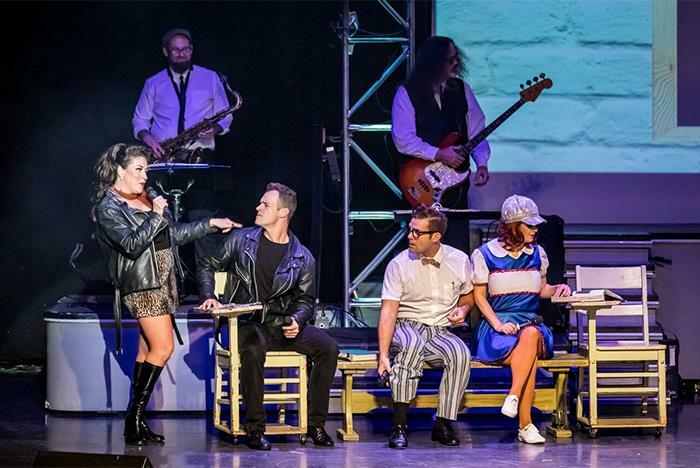 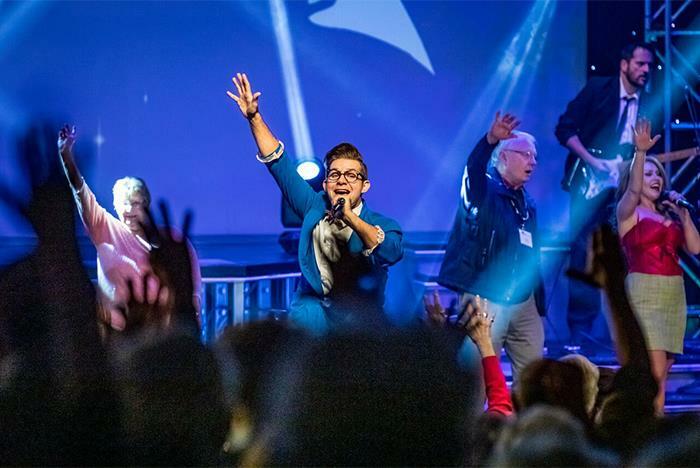 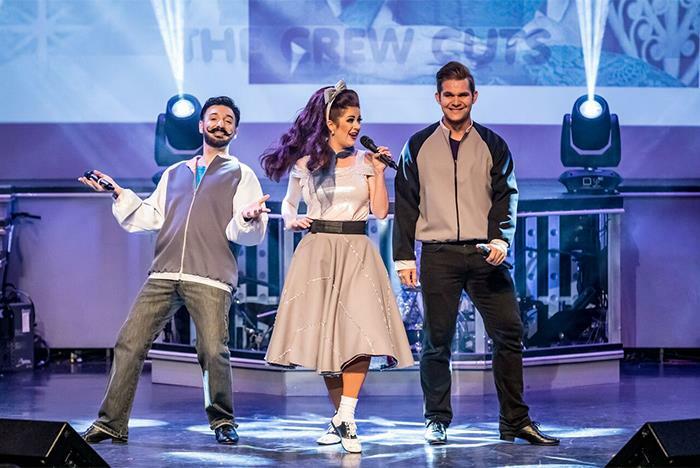 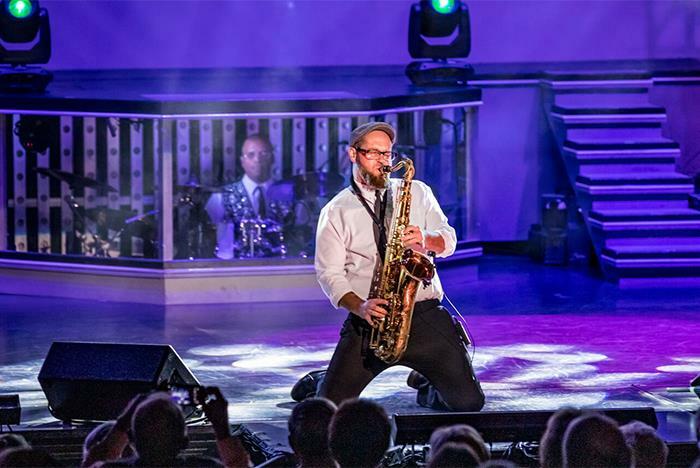 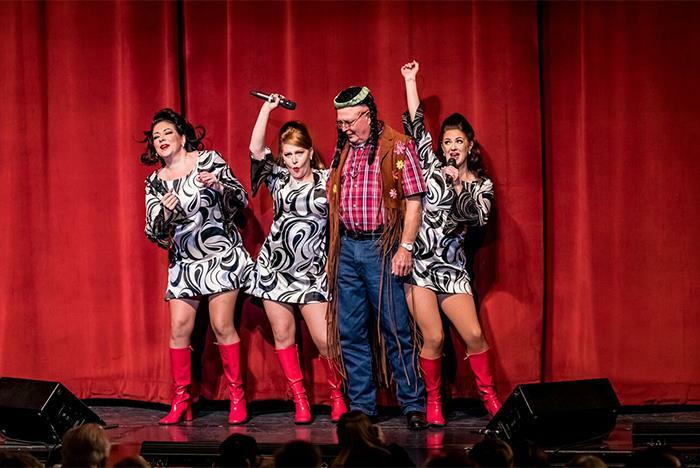 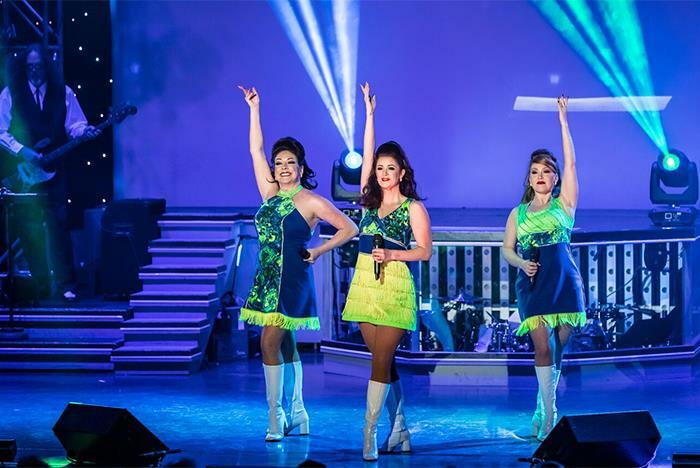 This high-energy show, held at the Clay Cooper Theatre, features non-stop performances with all the iconic music of the 60s and 50s. 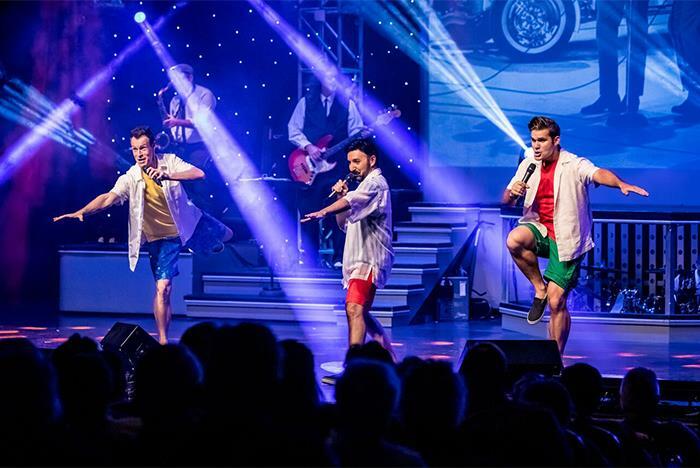 Guests can enjoy songs from artists like The Beatles, Dusty Springfield, Petula Clark, The Supremes, The Beach Boys, The Four Seasons, Elvis Presley, The Monkees and much more. 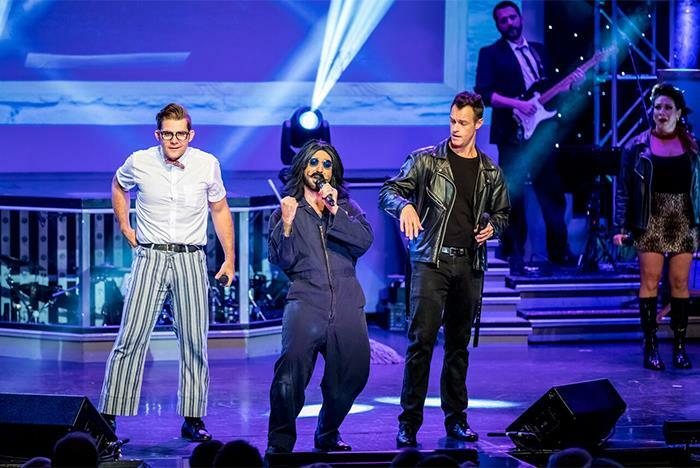 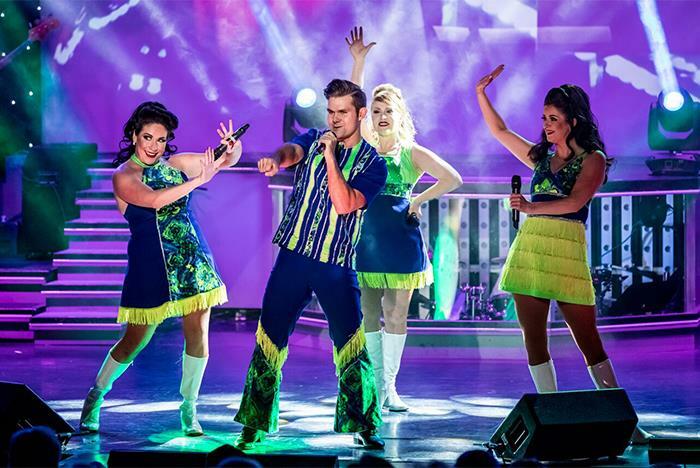 The family-friendly show also offers more than 90 songs and 100 costume changes. 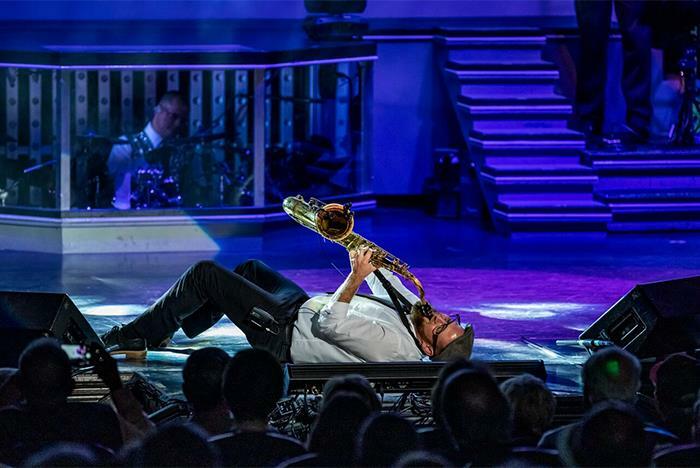 Now located at the Clay Cooper Theatre. 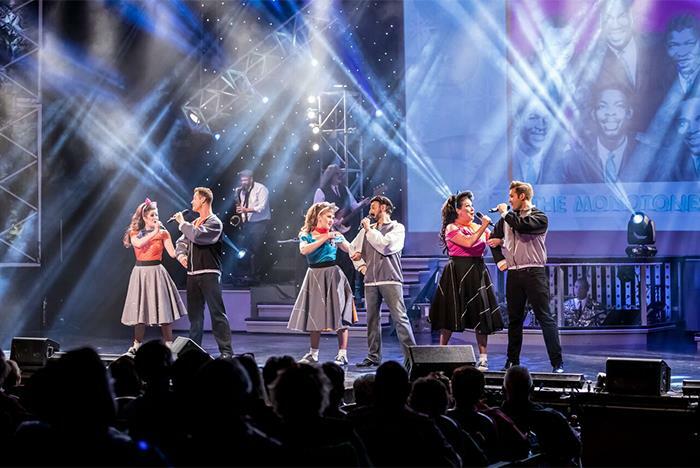 Features over 100 songs form the 50s and 60s. 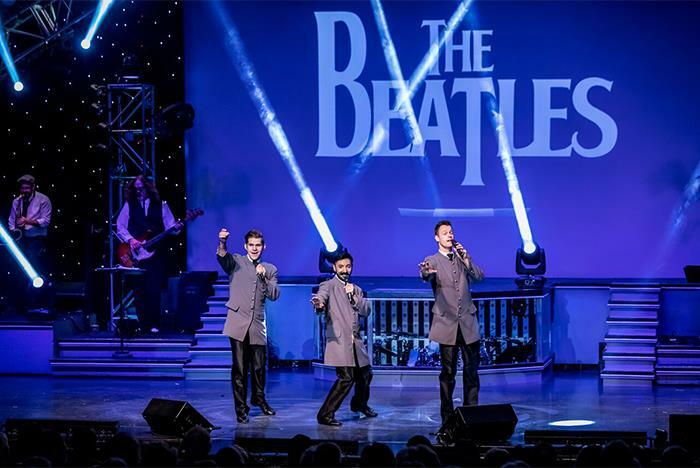 Highlighted artists include The Beatles, Beach Boys, Stevie Wonder, Elvis Presley, The Temptations, Monkees, & many more! 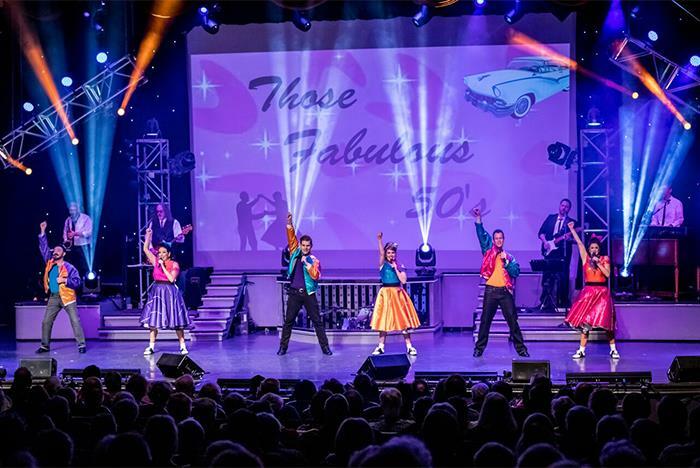 from #1 Hits of the 60's & 50's too! 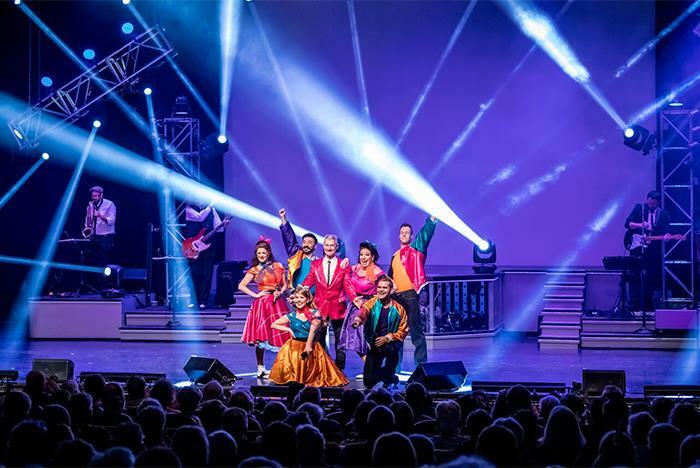 Branson’s “#1 Hits of the 60’s” brings you a non-stop, high energy party of phenomenal hit music! 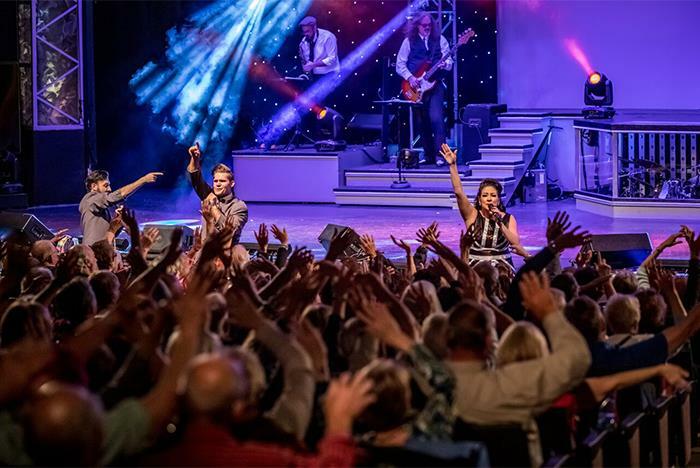 Enjoy the wonderful music that crossed the ocean with the British Invasion; songs that came from artists like The Beatles, Dusty Springfield, and Petula Clark. 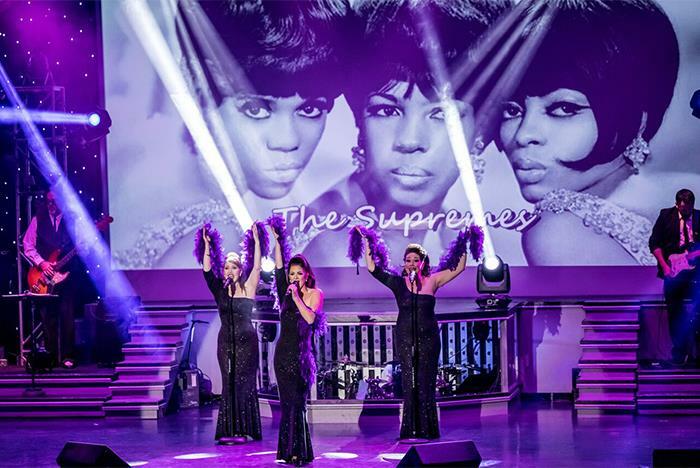 Hear the unmistakable sounds of Detroit’s Motown machine that churned out top artists like The Supremes and The Temptations. 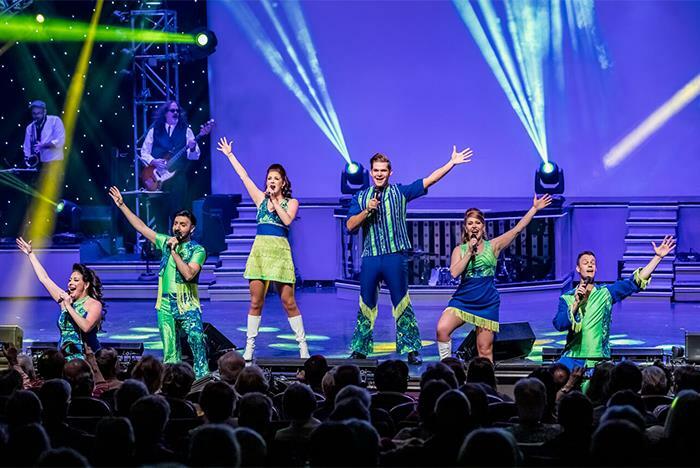 Catch the wave that crashed over the nation when California Surfin’ music dominated the charts from groups like The Beach Boys, and the psychedelic sound of the Age of Aquarius made famous by artists like The 5th Dimension. 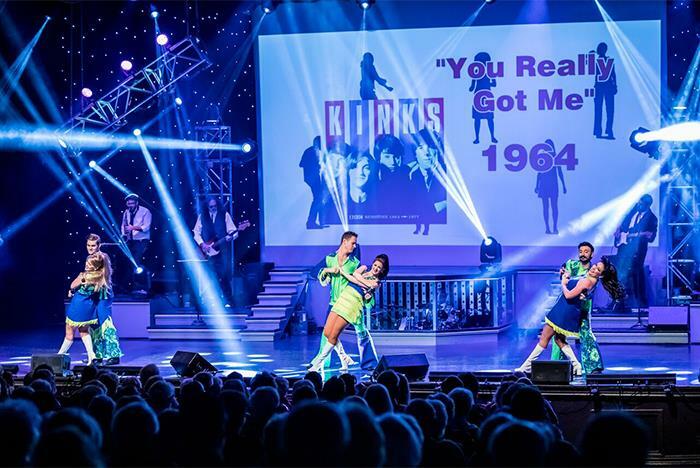 And hear the legendary music made world-famous in the ’50s and ’60s by Elvis, Buddy Holly, Sonny & Cher, The Monkees, The Four Seasons, and more! 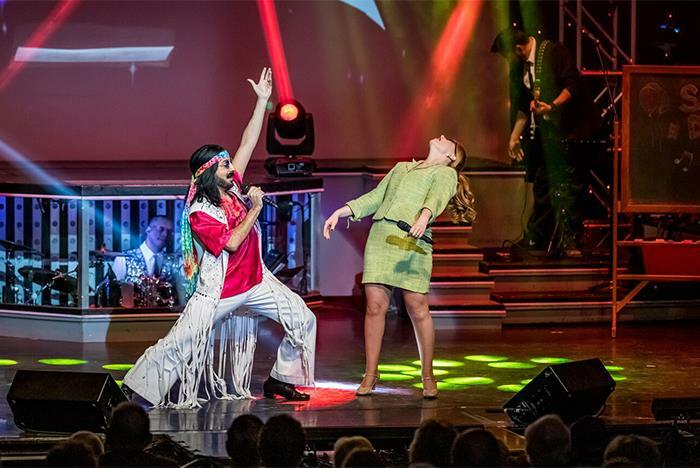 We've added some 70's music! 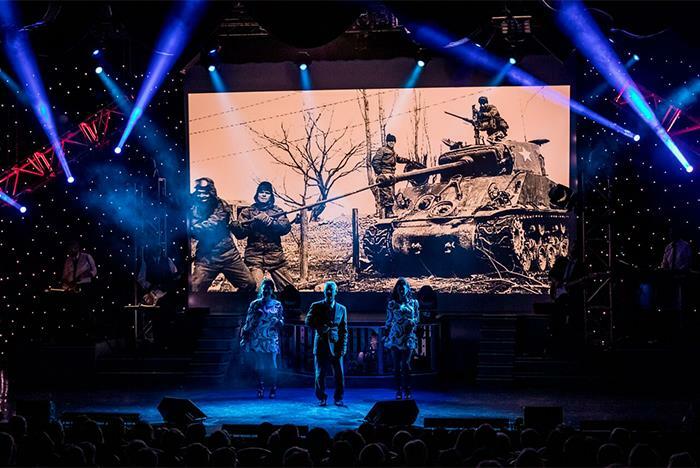 You’ll hear all this plus a very touching and sincere tribute to veterans. 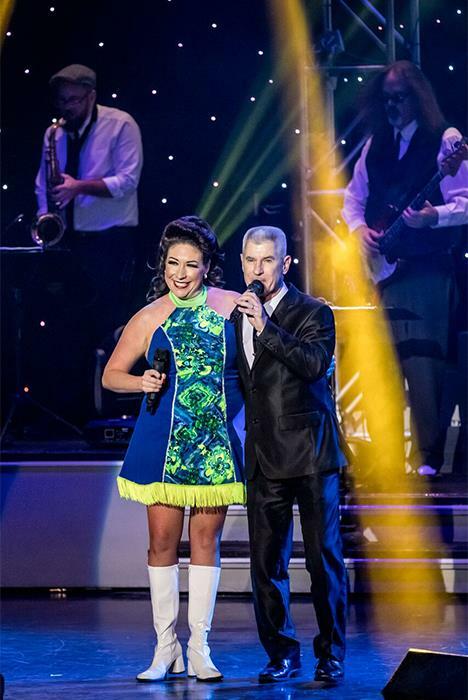 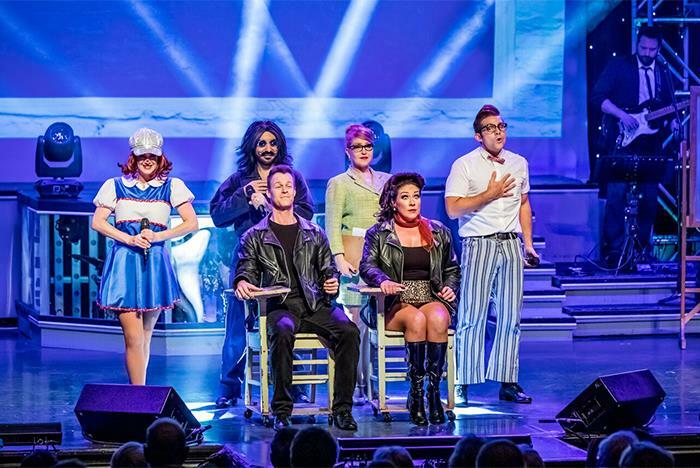 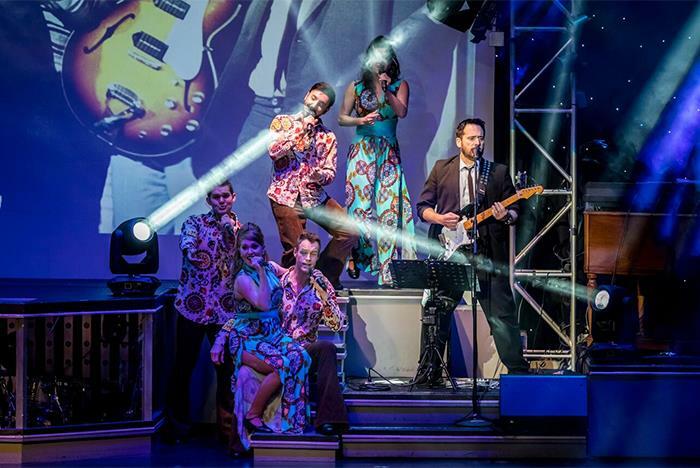 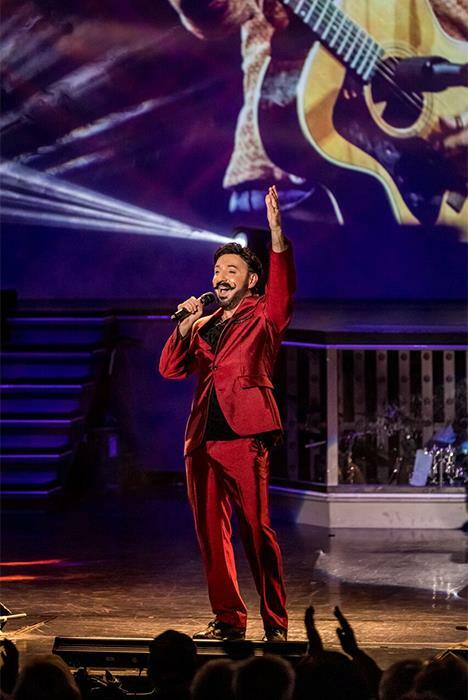 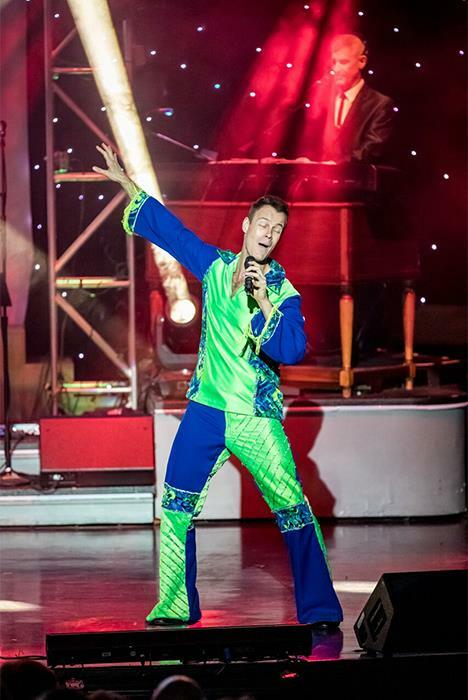 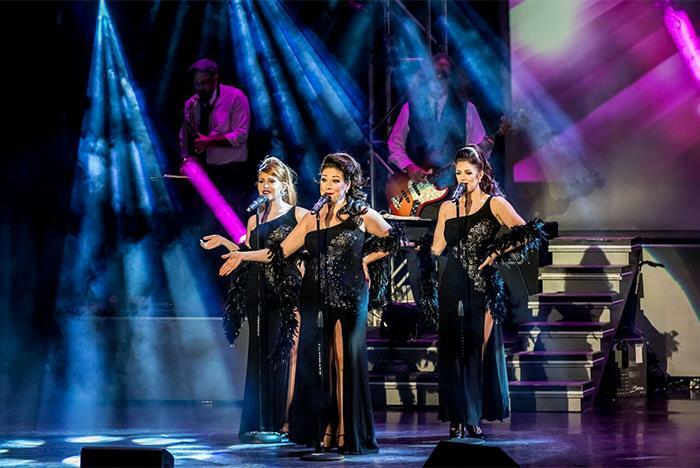 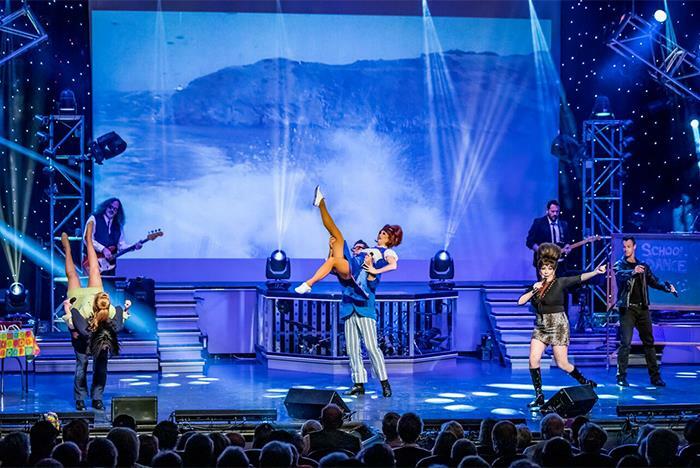 With a repertoire of more than 100 songs, an astonishing 100 costume changes, delightfully groovy dance moves, a smokin' band and a genuine passion for the music and sharing it with audiences of all ages, “#1 Hits of the 60’s” is an unforgettable show experience. 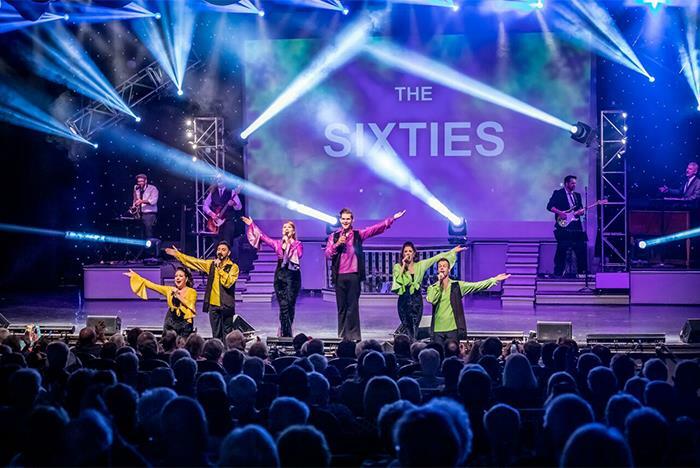 Frequently Asked Questions about #1 Hits of the 60's & 50's too! What is the size of the Americana Theater, home to #1 Hits of the 60’s!? 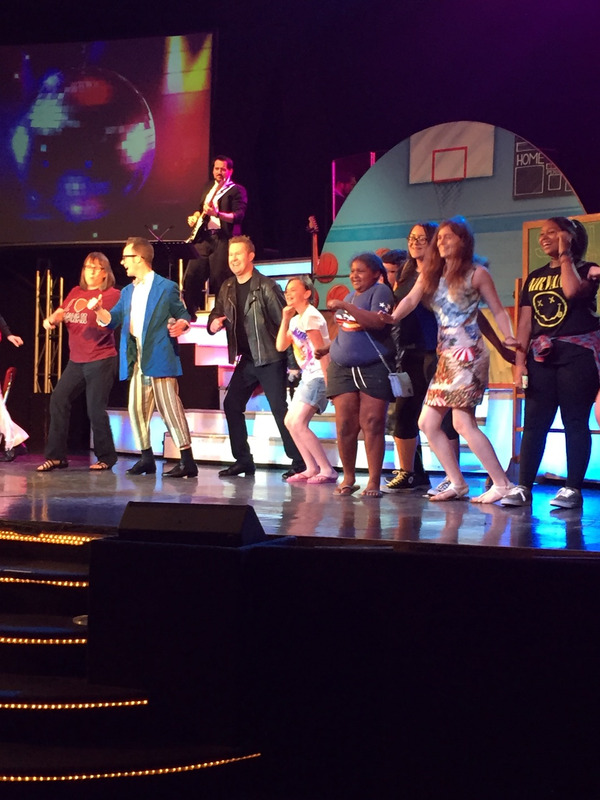 Yes, the pre-show is about 10 minutes long before the main show.